In July 2014, FCL, backed by Thai billionaire Charoen Sirivadhanabhakdi, purchased Australand for A$2.6 billion from Capitaland. Many have anticipated it is only a matter of time before FCL spun off the industrial properties in a REIT. If we look at FCL, they are one of the most geared property developer in Singapore. They finally will be spinning off their industrial assets in an IPO of Frasers Logistics and Industrial Trust (FLT). In this article, I sought to provide you with adequate information to make a decision on this IPO. Not just that, I hope to frame your mind in evaluating FLT, not as a punt on the short term, but what FLT provides you in your diversified portfolio. Various growth mechanisms, if you include the call option to purchase 3 more assets. You gain FCL as a manager, which we have seen through Frasers Commercial and Frasers Centerpoint, that have added good value to shareholders. Leverage even after the exercise to purchase the 3 call option assets are on the lower bound when compared to S-REITs. 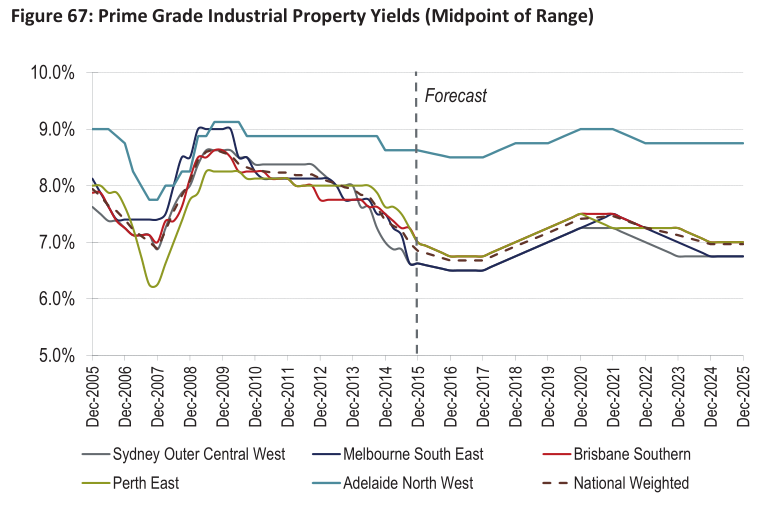 There is a downside to long WALE, and we can see that in that 30 out of the 54 assets have passing rents above the net market rent, which indicates that rental escalation have outrun Australia industrial growth and CPI. This would indicate, when it comes to renewal, the rental terms are likely to revise down. Portfolio provides investors an exposure to an economy that have a more diversified manufacturing base, larger e-commerce based that potentially have greater demand, and more buffer for economic policy errors. 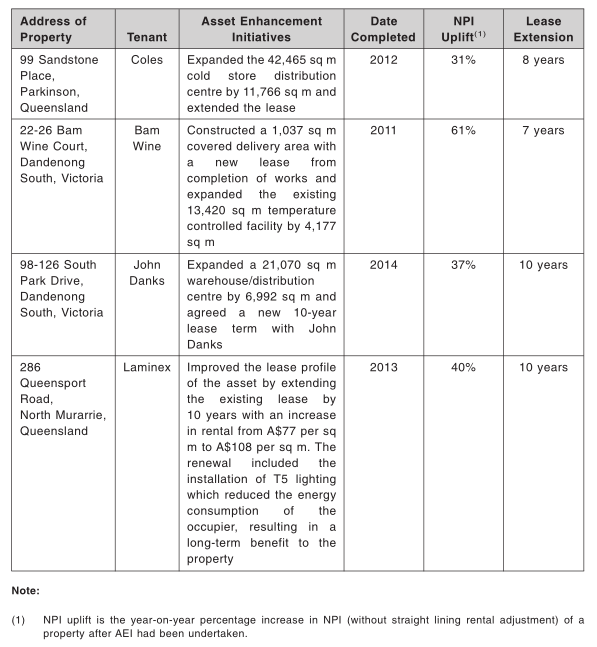 Price to NAV versus Australian listed REIT 360 Capital are in-line. I will let the data do the talking. Over 520 million units will be offer to investors. The REIT Manager expects the dividend yield to grow from 7.1% in FY2016 to 7.5% in FY2017 based on minimum offered price. If it is based on maximum offered price, the dividend yield is to grow from 6.83% in FY2016 to 7.3% in FY2017. How FLT fairs versus the Singapore listed REITs, you can take a quick glance always at my Dividend Stock Tracker here. In terms of comparable, there are many higher yielding industrial REITs, but bare in mind that this portfolio is very different from the rest. 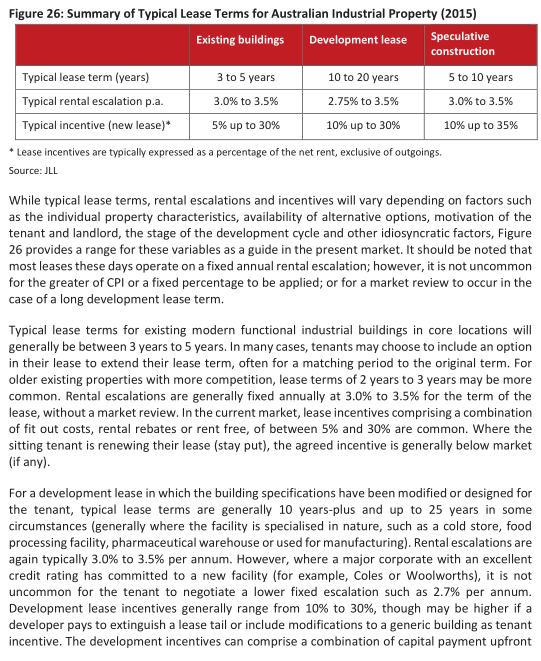 The Singapore portfolio, have a majority of their market value in short land lease assets, where the assets are typically the average land lease expiring below 45 years old. FLT portfolio average land lease is about 81 years old with many of the assets being freehold. 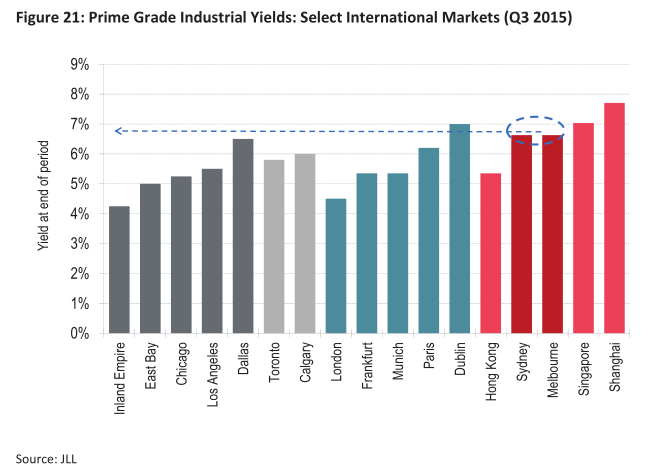 While the Singapore industrial properties are typically structured with a lease tenure of 3 years + 3 years, the Australian industrial properties are typically structured with 5 years and longer leases with a built in yearly escalation. 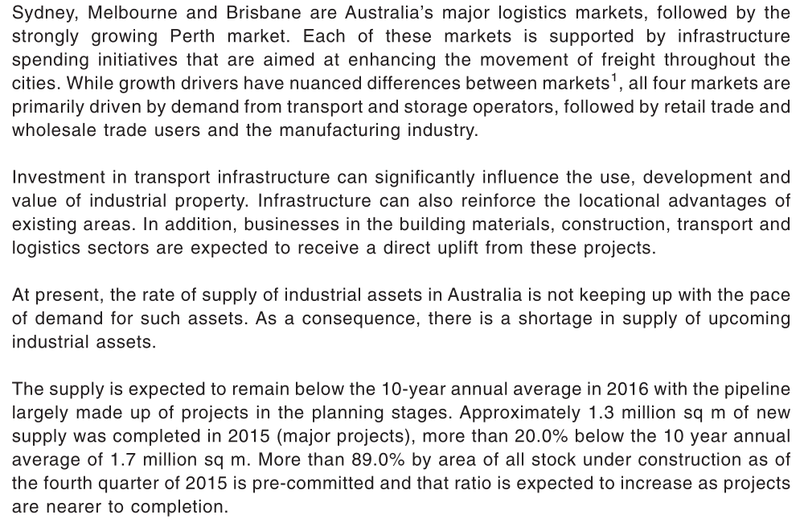 Close comparison to FLT would be the big industrial REITs of Ascendas REIT, who also recently bought 20-25% of their assets base into Australian assets, Mapletree Logistics, and Mapletree Industrial REIT. Their dividend yields are 6.7%, 7.1% and 7.1% respectively. 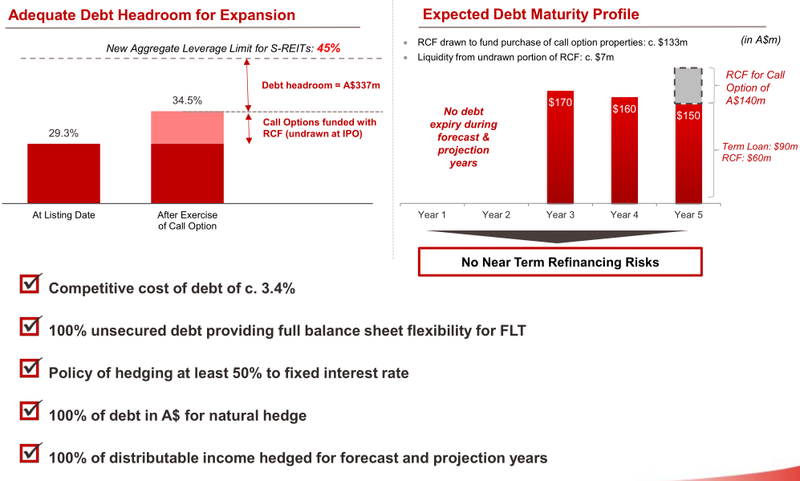 FLT’s dividend yield is not so far off. The difference here is the growth rate. When we invest in REIT we look at the total return instead of the dividend yield only. The Total Return is made up of Dividend Yield and Growth Rate. For the local REITs, the near term outlook is that they face challenging economic and jobs scenario, which tends to have a big impact on rental growth. The posturing of the REITs is more on retaining tenants then forcing rent up. 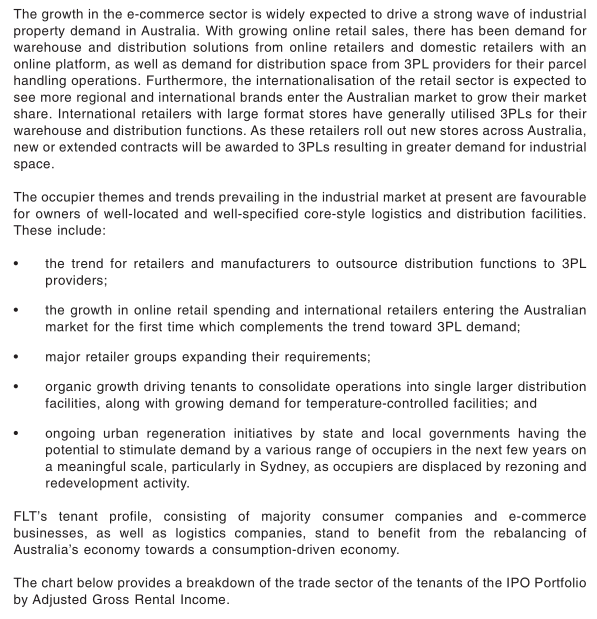 FLT’s Australian assets all have built in 2.80% in yearly rental escalation, so the organic growth is more intact. 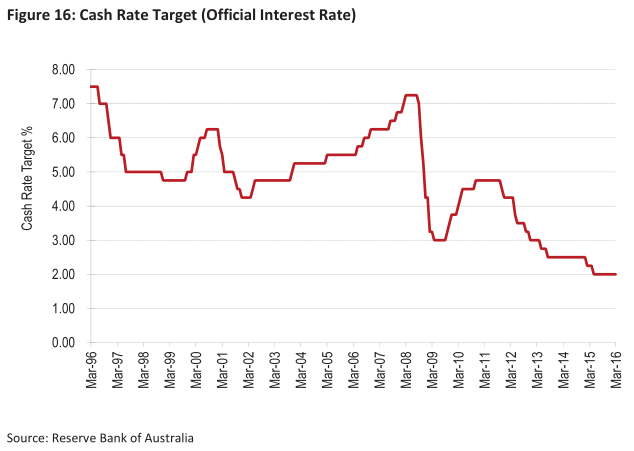 However, we note that if we are always comparing the REITs to the risk free rate, Australia has a higher risk free rate than Singapore, so if the dividend yield is similar to that of MINT and AREIT, we ought to think that FLT should provide a higher yield than this, since they are operating in an Australian environment. 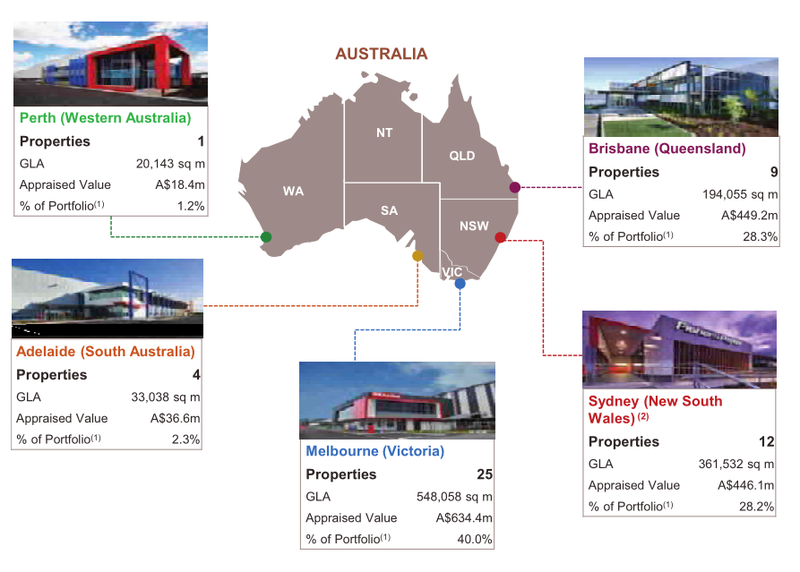 A lot of the industrial portfolio in Australia are whole sale and unlisted and the biggest Australian listed industrial portfolio belongs to Goodman Group (GMG), and that business resembles more to Global Logistics Properties in Singapore then a REIT. 360 Capital Industrial Trust, however trades at 8% dividend yield. If we look at it this way, it makes FLT look expensive, but perhaps the 8% does not include the withholding taxes that are factored into FLT’s 6.83% dividend yield. The withholding tax are typically 15%-30% and if we take a 15% discount of 8%, we get a yield of 6.8% for 360 Capital Industrial Trust yield. 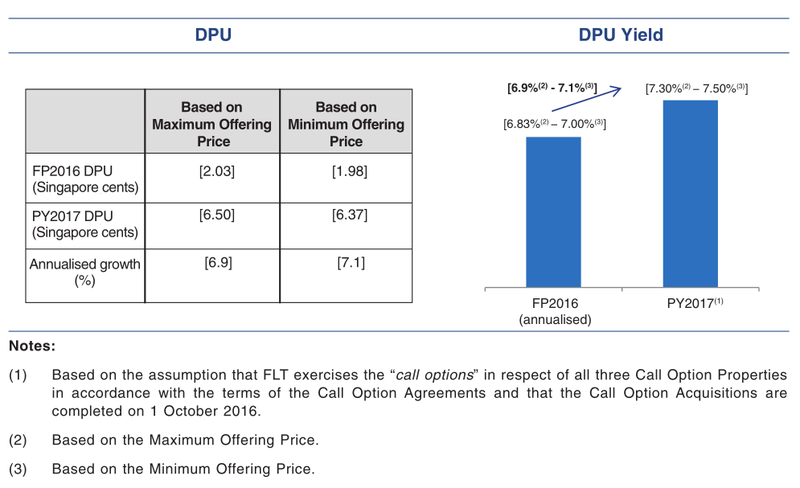 I came away in this exercise that the dividend yield provided by FLT is fair, not cheap not expensive either. 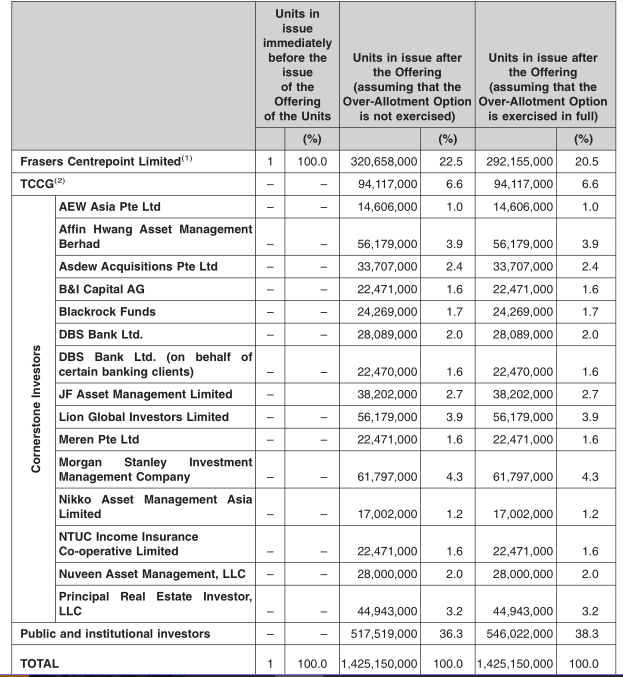 The IPO will comprise of 51 properties. This includes 2 properties that are under development. These 2 development properties makes up 9.9% of IPO properties appraised values. We layer this analysis by taking a look at the difference in passing rent and market rent. Why this matters is that there is a percentage of rental that will be consistently expiring and current market rent is below what the assets are currently renting out at. From my data, Total Passing Rent of the portfolio is A$ 145 million. Total Net Market Rent is A$ 140.50 million. This is 3.1% below total passing rent. What this means is that if the assets have their tenant lease expire today, FLT are likely to earn 3.1% less in net rental income. It also means that the annual rental escalation built in is faster than the CPI based inflation growth, and industrial growth. Out of 54 properties including the properties with call option and development, 30 properties have net market rent below current passing rent. 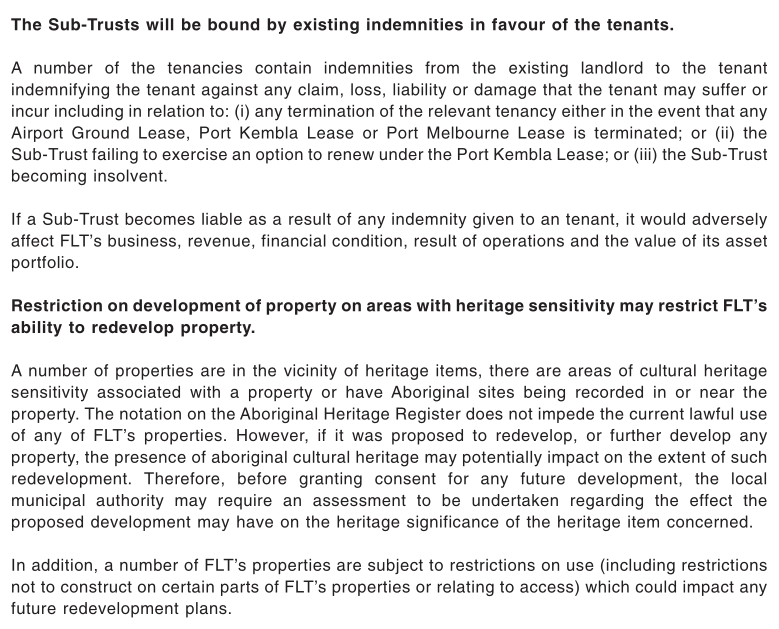 If we find the assets which are considered short lease, that are expiring soon, we will have an idea how much of a potentially negative revision that may impact FLT’s portfolio. Its hard to agree on short, but lets use a conservative figure of 7 years or less, since that is about the average of the current WALE. 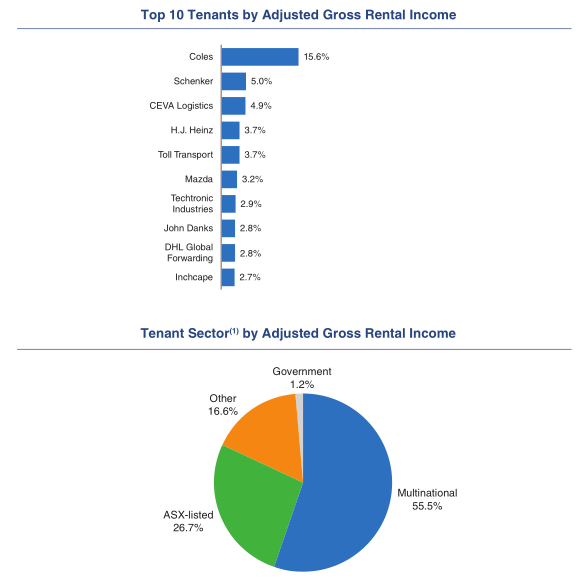 A$63 million in passing rent is impacted, as the net market rent is A$53.5 million in total, which is 43% of the portfolio based on passing rent. The net market rent is 15% below the passing rent. There are 24 out of 54 of these properties. The Cap rates of the leasehold properties tend to be higher, because they tend to command a lower value than freehold. In terms of CAP Rate, you will notice cache manage to secure their acquisitions at higher than 7-7.2% FLT Cap Rate. MLT got their stuff at a rather expensive cap rate. 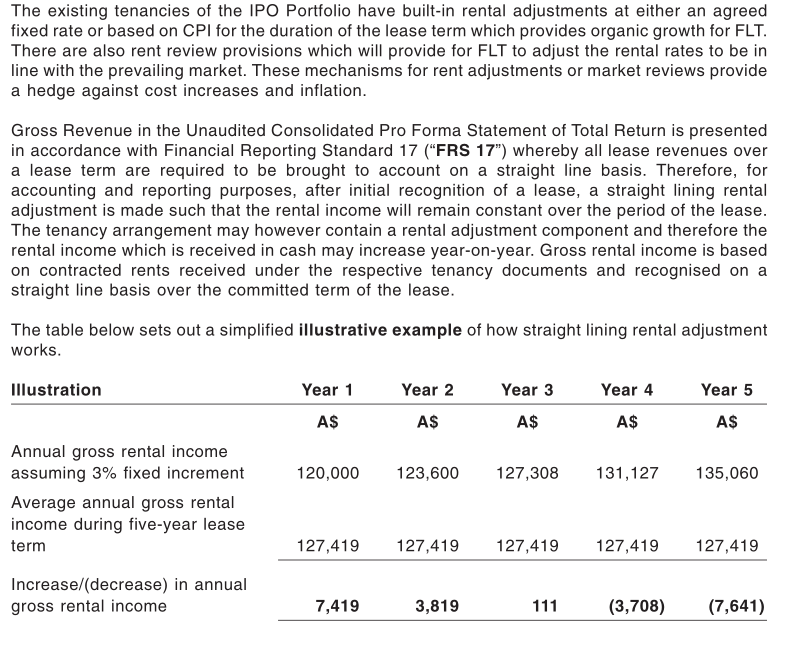 However, from what I understand, Cache’s tenants are in a more wobbly state then the other S-REIT’s acquisition tenants. If we compare the cap rates versus historical, it is not low or average. 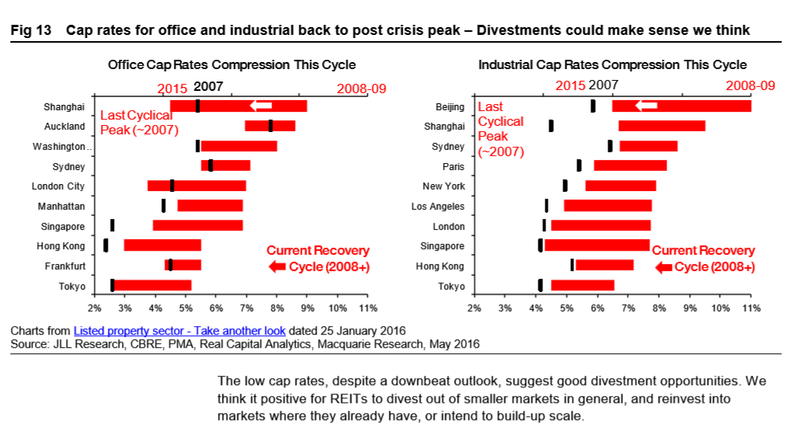 Cap rates have really compressed. In addition FLT have 3 separate call option to acquire 3 development properties from FPA at an agreed price. The estimated net property income of the call option property is A$7.9 mil which results in a NPI Yield of 6.2%. Not really accretive if you ask me. What looks attractive of these 3 call option properties is that the WALE of these 3 properties are 15 years, 6 years and 20 year. Compared to Singapore REITs, they would have to renew their land lease, if the assets are still within the industrial plans of the local Singapore Authority. Not to take the attention away from the long WALE, but the expiry as a percentage of adjusted gross rental income is also very even. 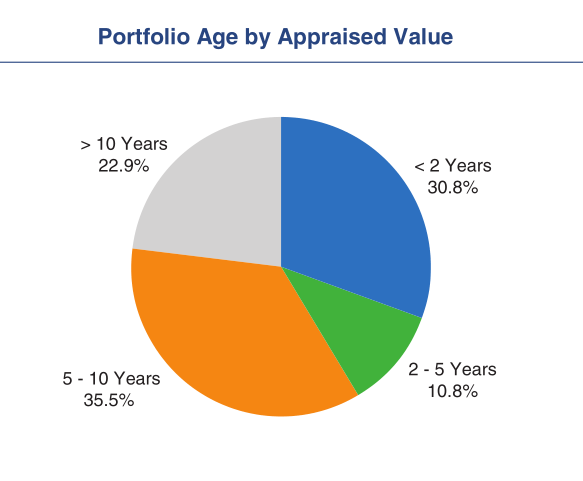 The assets are very young. 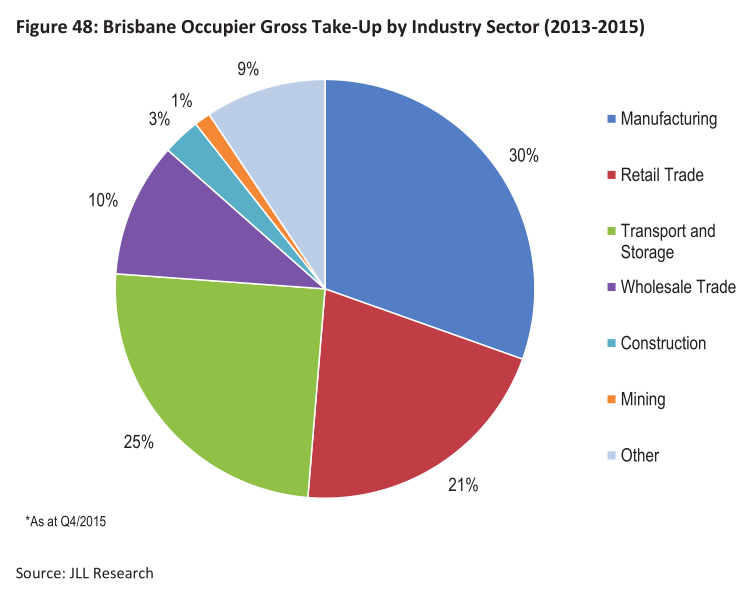 Properties are concentrated in major industrial markets in Australia. 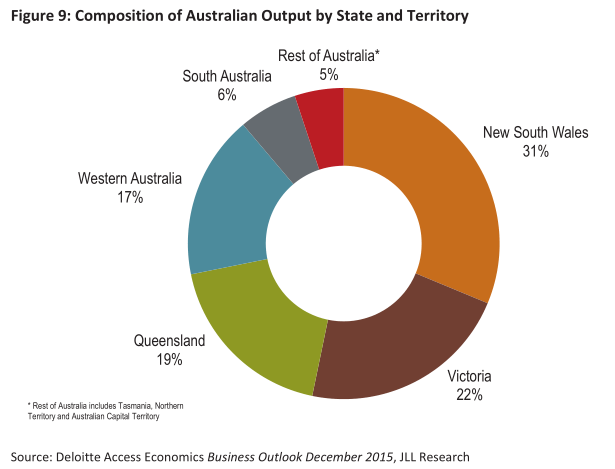 It is also interesting that they have less exposure to Perth, which have been impacted more by the downturn in more of the commodities and mining companies. 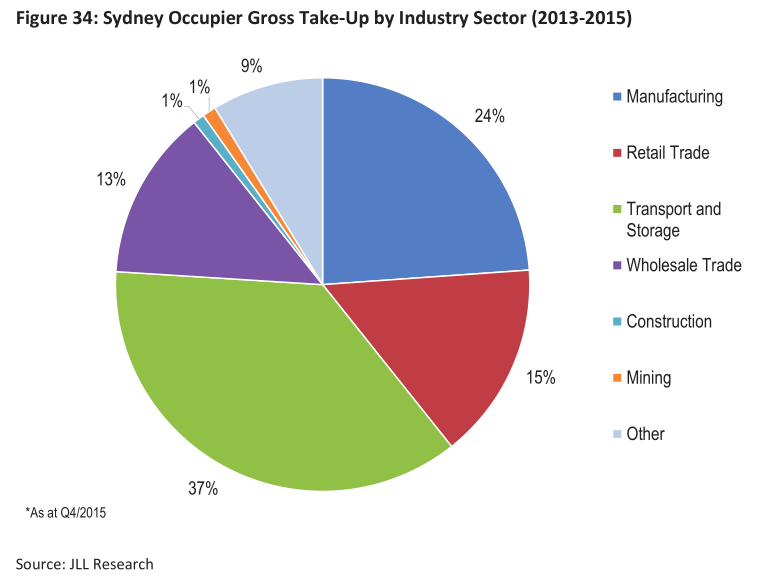 Sydney’s industrial and logistics market is benefiting from urban renewal projects being coordinated by the government to increase the population density of inner ring suburbs. 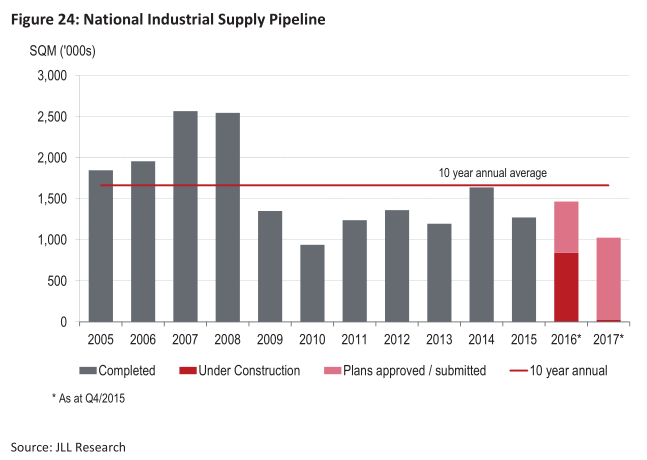 As many mature industrial markets are rezoned to allow for mixed use or residential projects, the existing stock base for industrial space is shrinking while tenants are displaced. 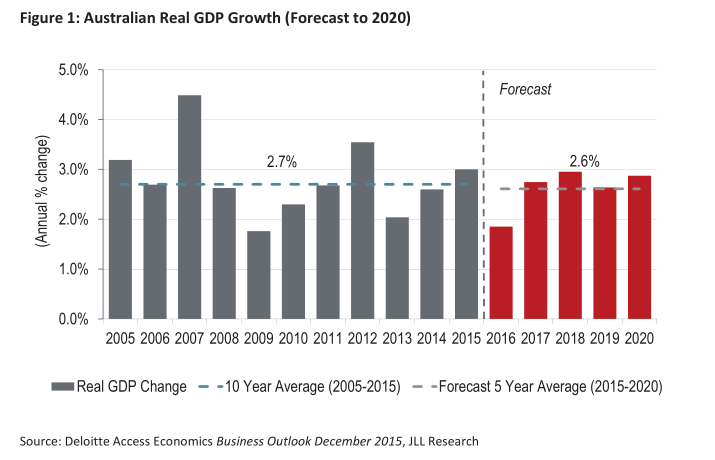 This creates an immediate demand for existing stock, reduces vacancy and places upward pressure on market rents, including western Sydney. 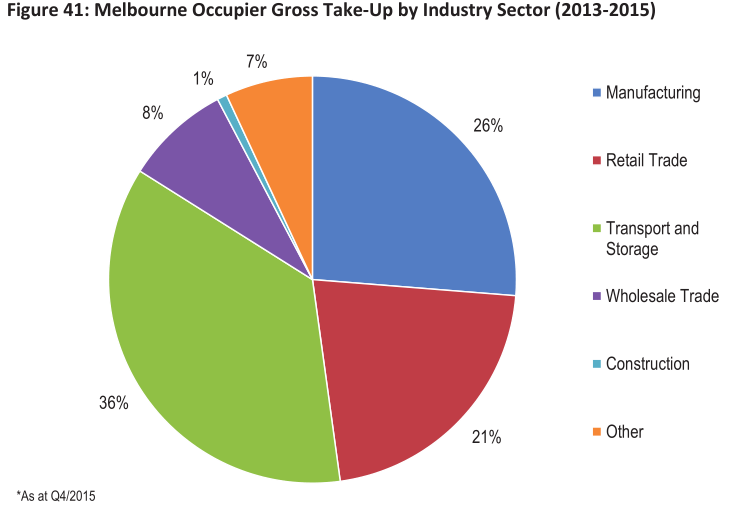 Large corporations have viewed Melbourne as a strategic location for national or regional distribution centers. 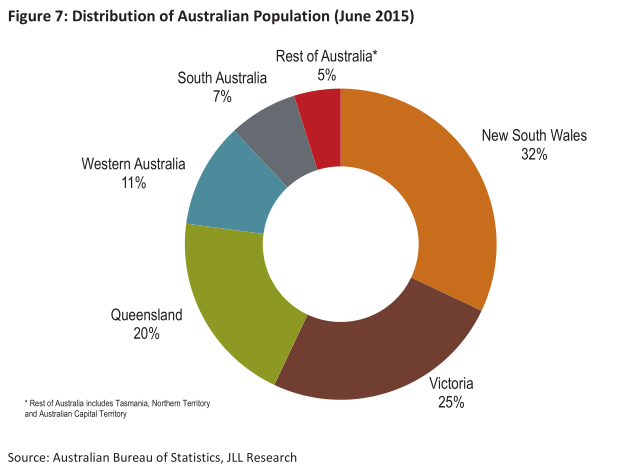 Melbourne is an ideal location for distribution centres due to its relatively lower land costs and distance to the shipping port and links to road and rail to interstate and national networks. Melbourne’s industrial and logistics market also benefits from the Port of Melbourne being the busiest containerized, automotive and general cargo shipping port in Australia with the highest twenty-foot equivalent units 1 volume per year. Here is FPA’s past AEI works. The AEI resulted in not just rental uplift but very good lease extension which results in more predictable cash flows. FCL as Sponsor, with strong track record, commitment to real estate funds management. They also have extensive experience in Australia. REIT manager is experience and deep knowledge of real estate development and management in Australia. The cornerstone investors rounded up is a rather big pool compared to the recent IPO. It gives a good indication how well received this IPO will be. 50% of debt is hedged to fixed interest. Average cost of debt is 3.4%. The positive thing is that, compared to the net debt to asset, even after the call option purchase gearing is relatively managable. 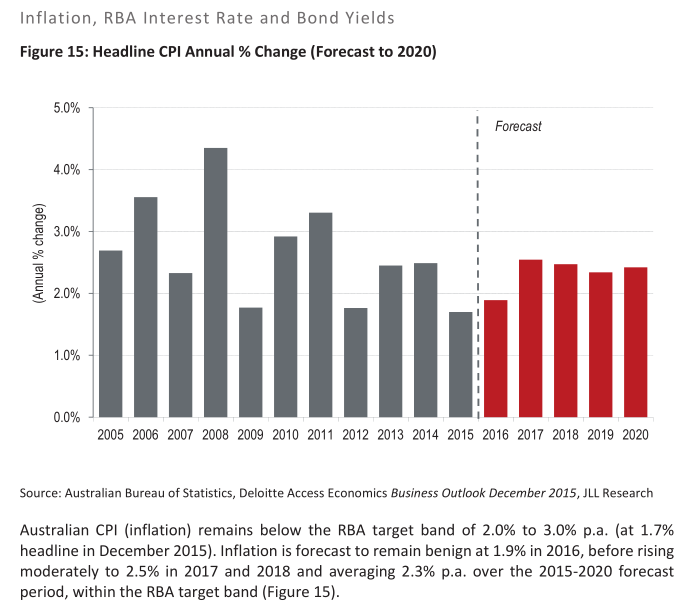 A glimpse of the near term historical CPI change in Australia. Of note is that they are below that of the rental escalation built in which explains why a lot of the passing rents are above that of the market rent. 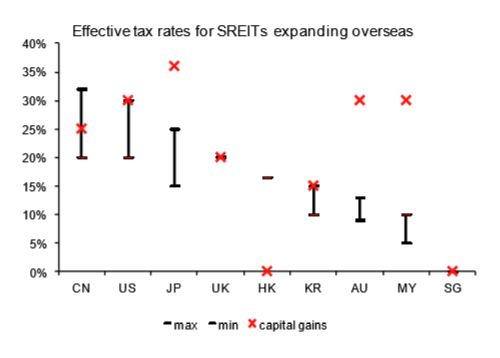 In Singapore, we can grow the REITs business because of a more than favorable tax regime. When the REITs venture forth to overseas markets, then they gain less of these incentives. 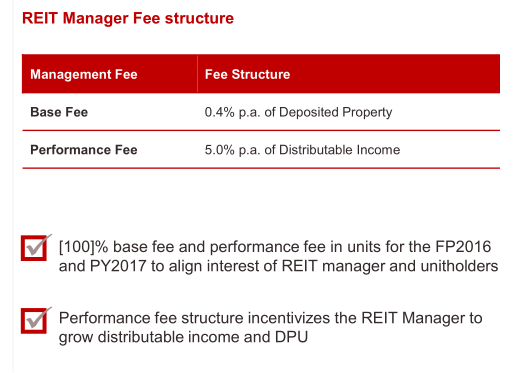 The REIT manager will elect to receive 100% of base fee and performance fee in units. FLT, being a MIT in Australia, is subjected to Dividend Withholding Tax. The yield provided in most reports should be the after tax dividend per share, and dividend yield. Subject to market conditions and obtaining the relevant regulatory approvals, the REIT Manager may in future implement dual currency trading for the Units. With the implementation of the dual currency trading of the Units, FLT will have an A$ counter in addition to its S$ counter and investors will be able to buy or sell the Units through either counter. Investors will be able to trade in the new A$ counter for FLT in the same manner as any other counters on the SGX-ST, i.e. investors can make use of their existing securities accounts and trading accounts with CDP to trade in the new A$ counter. Potential investors should consult their own stockbroker or other professional adviser before making any decision relating to the foregoing. The REIT Manager believes that the implementation of dual currency trading for FLT will be to the benefit of Unitholders by providing them the flexibility to trade the Units in either A$ or S$. The implementation of dual currency trading will not change the total number of Units issued by FLT. Even though FLT is an ALT, this would only have an adverse effect on the price and/or liquidity of the Units, for prospective buyers who are foreign persons (that are not Foreign Government Investors) acquiring interests valued at A$55.0 million or more and comprising at least 10.0% of the Units in FLT. 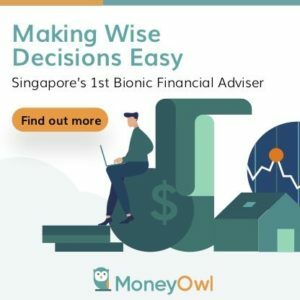 Such buyers will factor into their buying and pricing decisions the possibility that any purchase of Units on the secondary market may then require FIRB Approval. Small interest buyers (of less than 10.0%) will not be impacted by the FATA. 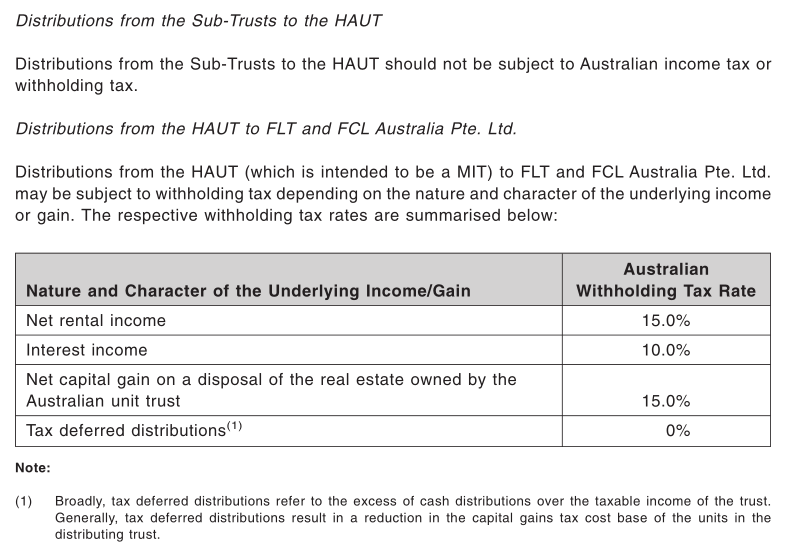 In order for the head Australian trust by the name of “FLT Australia Trust” (the “HAUT”) to qualify as a “managed investment trust” (“MIT”) for purposes of the Australian Taxation Administration Act 1953 (Cth) (the “Australian Taxation Act”), no Foreign Resident Individual 1 is able to acquire MIT Participation Interests 2 in FLT of 10.0% or more. 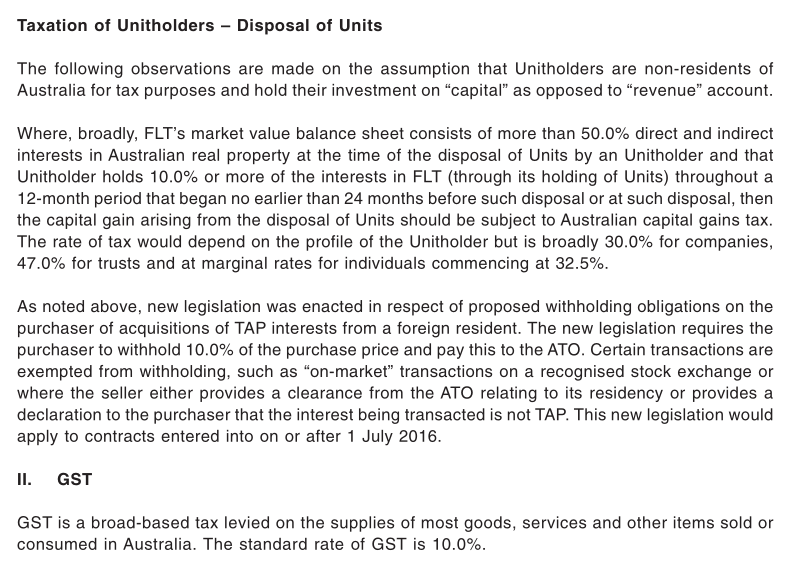 Accordingly, to ensure that the HAUT continues to qualify as a MIT, Unitholders and all other persons who are Foreign Resident Individuals are prohibited from directly or indirectly owning in excess of 9.9% of the outstanding Units, or such other applicable limits on unitholdings under the Australian Taxation Act which would be necessary for the HAUT to qualify as a MIT (the “Unit Ownership Limit”), subject to any increase or waiver pursuant to the terms of the Trust Deed (as defined herein) and on the recommendation of the REIT Manager. I ran a Dividend Stock Tracker that Updates Nightly the dividend yields and various metrics of the popular dividend stocks such as Blue Chip Stocks, REITs, Business Trusts and Telecom Stocks In Singapore. Start by bookmarking it and view it daily. Here is my current portfolio. It is a FREE Google Spreadsheet that you can use to track your stock portfolio by transactions. It is especially good for a dividend portfolio or a passive ETF portfolio. Get it for Free Today. After reading , i think it may not be CPF approved IPO. hard to say. the situation is similar to ireit. only the foreign currency reits are not CPF approved, the guys like ireit, where their financial statemetns are in Eur is still CPF approve. so there are every chance this will be. Hello Kyith, thanks for the excellent write up. 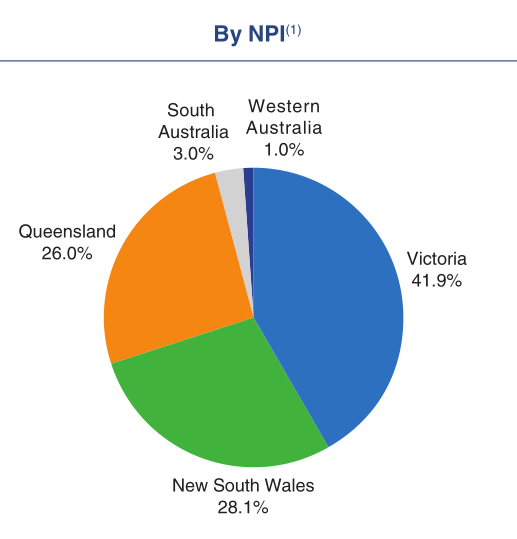 How do you think the overall negative sentiment of Aussie banks will come into play for this IPO? Hi Teo, the article is behind a paywall so i cant actually read. if i were to think such a calamity might indirectly affect FLT, but from the slides this is a log and industrial trust. 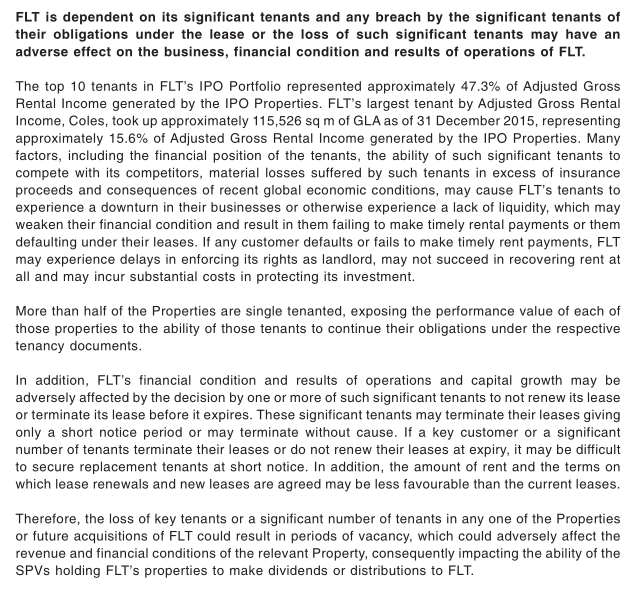 the worry is a freeze in credit could create working capital problems, such that the counterparty of FLT, the tenants may not be able to service their rental expense. A hit on cash flow is a hit on demand and any upcoming renewals will be affected. Thanks for the excellent write up as always. 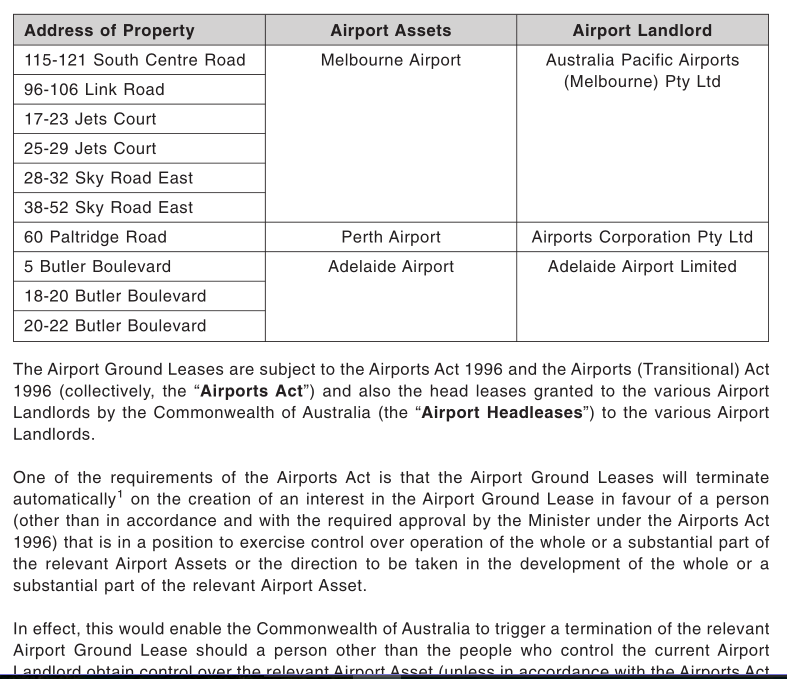 The withholding tax you mentioned above is withhold when their AU trust pays to FLT? Hence there should not be any withholding tax paid by FLT to individual investors? 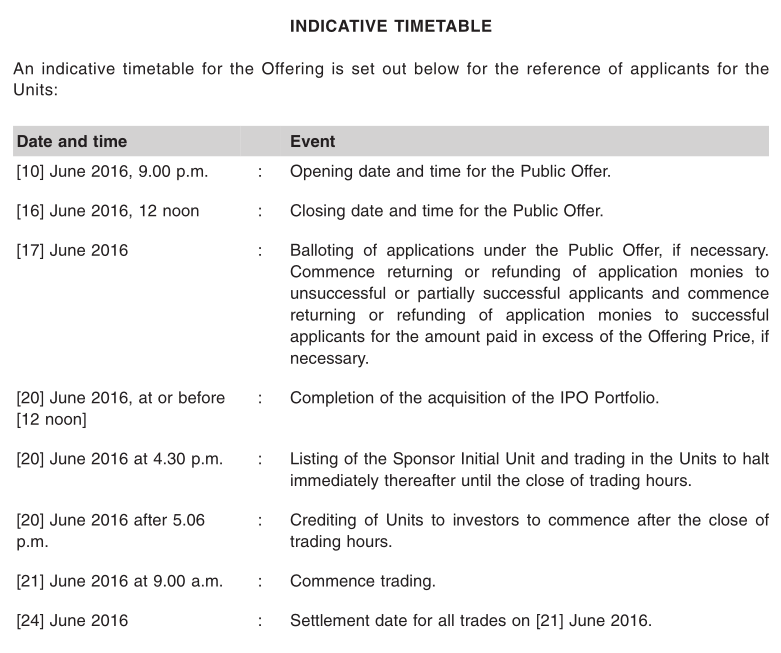 between a singapore trust like FLT to the investors there is no withholding tax. but for the earnings repatritated out of singapore with the tax treaty there is a 15% tax, compared to a 30% tax if this is listed in Australia or if there isnt this tax advantage. Good article and details provided. Can we check the current subscription rates so far for retail investors? Also, what is the maximum risk we can have by applying for this IPO in short term? 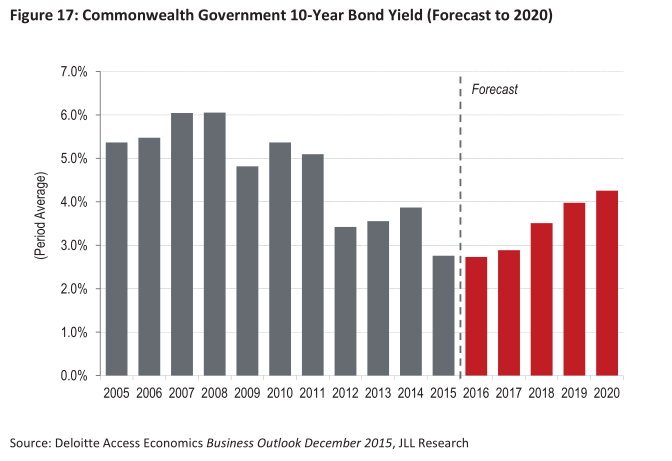 Also, when is the date of first dividend yield for 2016? Is it Sep-2016? Thanks for sharing. I read from the book from Bobby Jayaraman that Industrial Assets are least defensive during an economic recession and can suffer from a prolonged recession. I also noticed that you are “heavily” invested in this REIT. Book value, WALE, WADM, gearing, yield and freehold, all looks good. 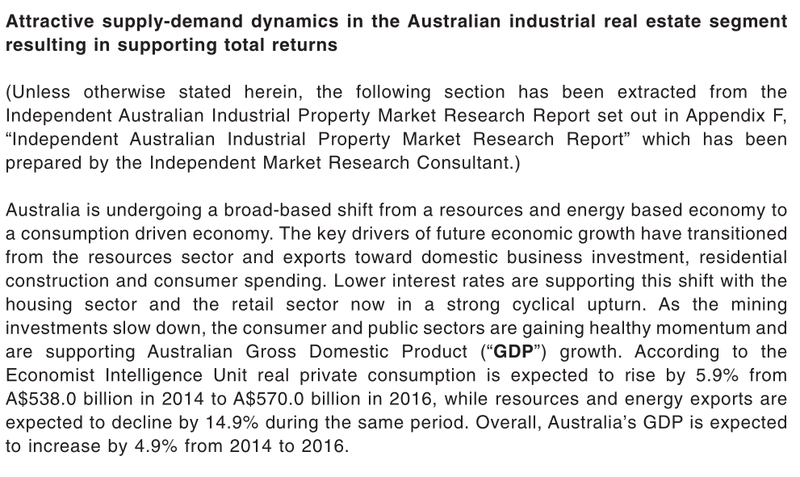 What is your view for industrial sector in Australia, how it is different from Singapore? hi Anthony, I think Australia is unique in that the country is wider. They have a slowdown in one sector and another sector may pick up. it is why they survived for 25 years. Compared to Singapore, they have natural resources, they have a wider consumption to cushion an export fall. The data do show that supply have been below average. However, they do have a pricey asset prices.